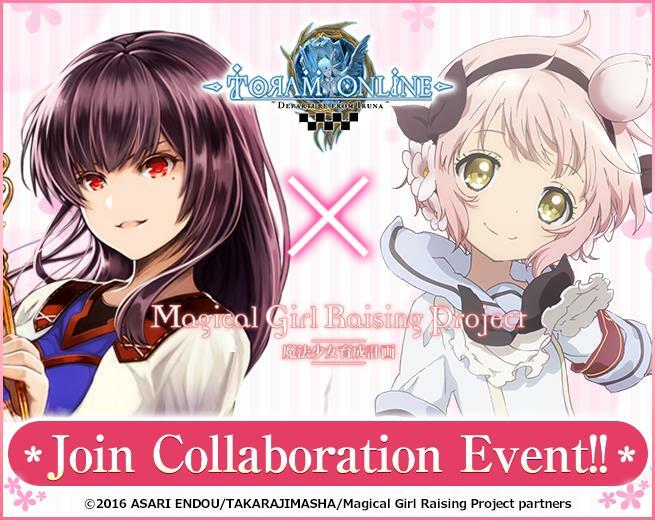 “Toram Online“ MMORPG with Complete FreedomBecome a Magic Girl in Toram!“Magical Girl Raising Project” Collaboration! | ASOBIMO,Inc. Tokyo, Japan, ASOBIMO Inc. (Location: Tokyo, Japan President: Katsunori Kondo) started a collaboration event of the animation: “Magical Girl Raising Project” on September 21st, which once held in Japanese server, for all the available languages in Toram Online. The app is free to download on GooglePlay and AppStore and anyone can participate in the events. As the collaboration of “Toram Online” x “Magical Girl Raising Project”, the avatar equipment to dress up like the popular characters in “Magical Girl Raising Project” such as “Snow White” and “La Pucelle” will be available in Orb Shop. Also, you can get “Fav Doll”: a doll of the mascot character for free! Moreover, there will be a screenshot contest to celebrate the collaboration. 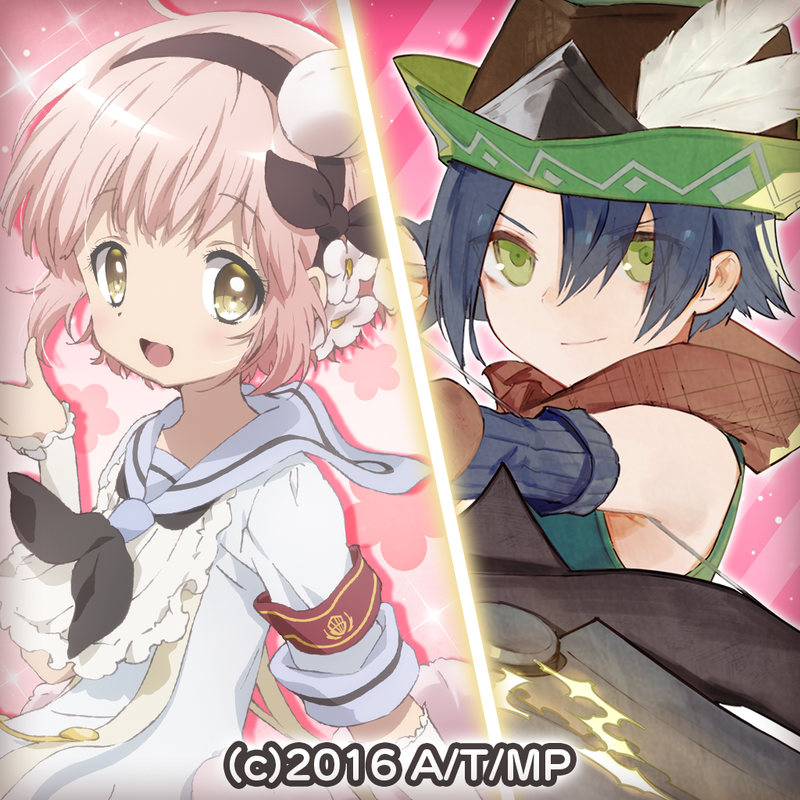 The theme us “Try every means to express a magical girl.” If you get an award, Avatar Ticket x15 will be gifted! We are waiting for your nice screenshots! ■Get the Avatars and Become a Magic Girl! 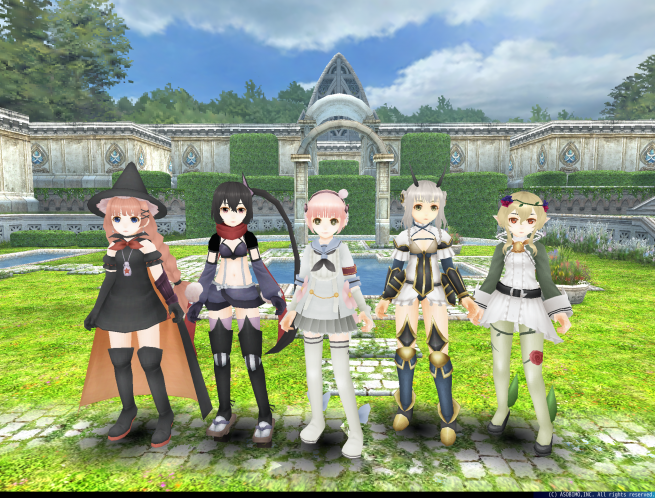 The lineup of the collaboration avatar chest includes the costumes of “Snow White”, “La Pucelle”, “Top Speed”, “Ripple”, and “Cranberry the Forest Musician”! Even if you only have male characters, you can equip them. Dress up as the popular characters in the animation! ■Just Log In and Get “Fav Doll”! The mascot character of “Magical Girl Raising Project”: “Fav” became a doll and you can get the item just by logging in the game during the event period! The cute looking Fav will be on your head. ■Get Special Emblem Rewards Everyday!! During the following period, special daily emblems are available! Play the game everyday and get them all! Condition: Logged in the game. Condition: Played for an hour today. Condition: Played for 2 hours today. *Daily emblems are reset everyday at 5:00 AM (JST/GMT+9). As the celebration of the collaboration, we hold a screenshot contest event! The theme is “Try every means to express a magical girl.” There will be two awards: Producer Suzuki Award and GM Award. If you win an award, you can get Avatar Ticket x15! ■What’s the Magical Girl Raising Project? A merciless game of musical chairs begins with 16 Magical Girls! 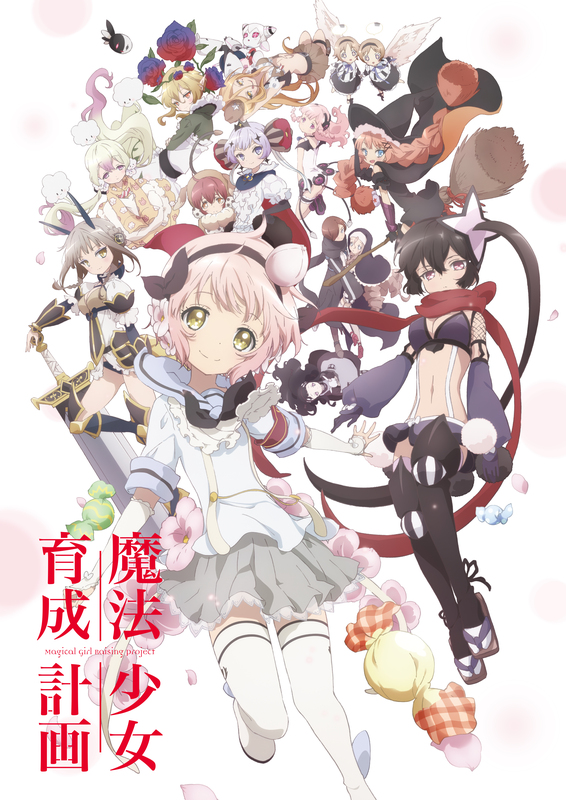 These girls will deceive, outwit, and fight all the sake of being a Magical Girl. Under the authority of the administration, who has deemed that “There are too many magical girls, so we must decrease them by half”, every week one girl will be stripped of her status as a Magical Girl. Thus, 16 Magical Girls, caught in a risky and irrational game, will devise the tactics necessary to maintain their Magical Girl status all while enacting their intentions from behind the curtain. The abnormal circumstances exhausts their senses. However, amidst this turmoil, each Magical Girl will find herself and accept this ruthless game. A grim take on the typical Magical Girl image, with adorably designed characters and a story that defies all expectations. Receiving high rankings in polls of readers and bookstore employees, this hit series is making its debut from the pages of light novels as an animation! The supervisor is Hiroyuki Hashimoto, who also was a supervisor of the animation: “Is the Order a Rabbit?”, the characters are desgined by Yukiko Aikei, who worked on the character designs of “Accel World” and “Your Lie in April”, derection and script are led by Takao Yoshioka, who worked on “Your Lie in April” as well. Moreover, the animation is created by Lerche that also created the animation of “School-Live!” and “Assassination Classroom”. The curtain opens on this- Magical Girls and the race for survival! 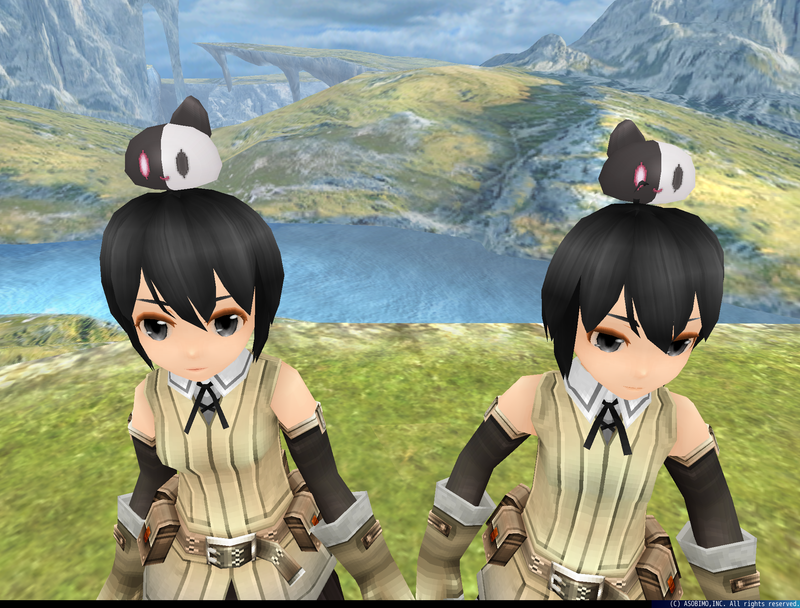 “Toram Online” is a classic MMORPG that allows players immense freedom in elements such as character creation, equipment customization, skill acquisition, and more. By discarding the traditional RPG concept of “classes”, players can grow and evolve their characters however they like while searching for hidden secrets in a mysterious world once torn apart by catastrophe and reformed. Experience the rush of intense battle in realtime with people from all over the world.